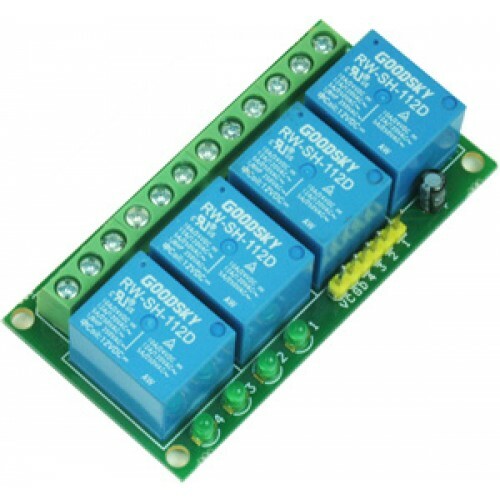 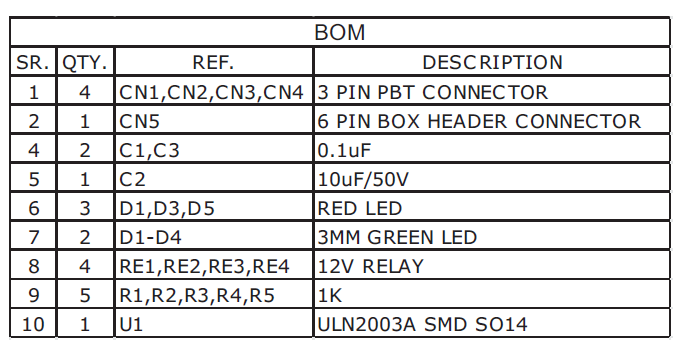 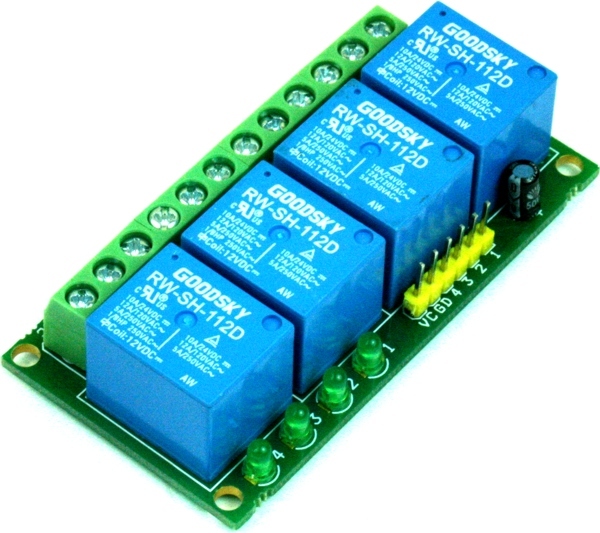 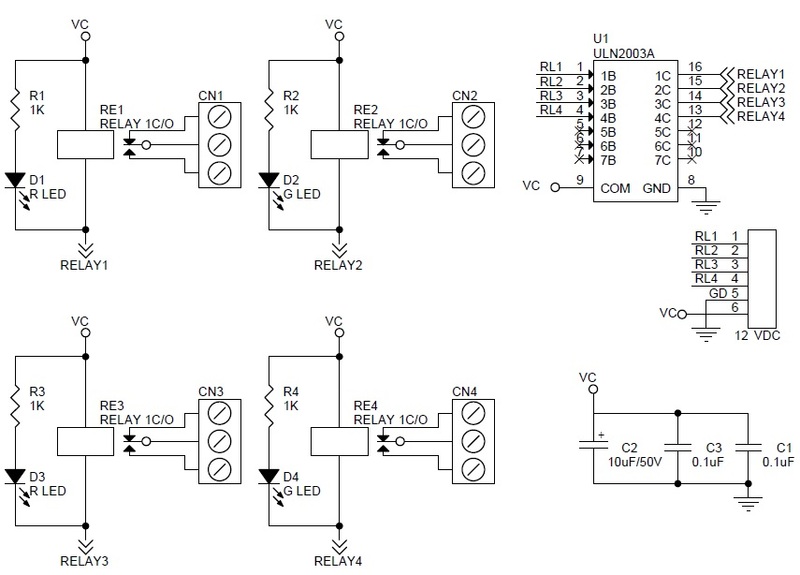 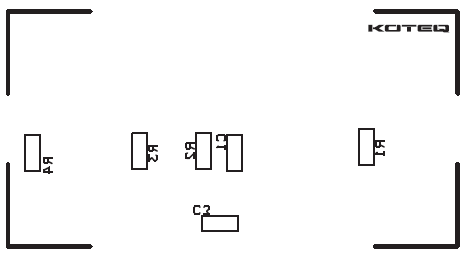 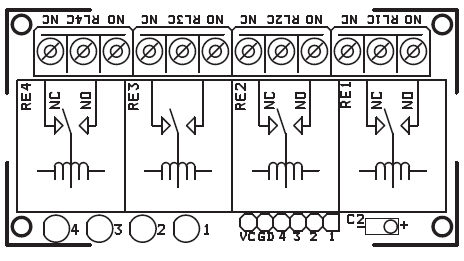 4 Channel Relay Board is a simple and convenient way to interface 4 relays for switching application in your project. 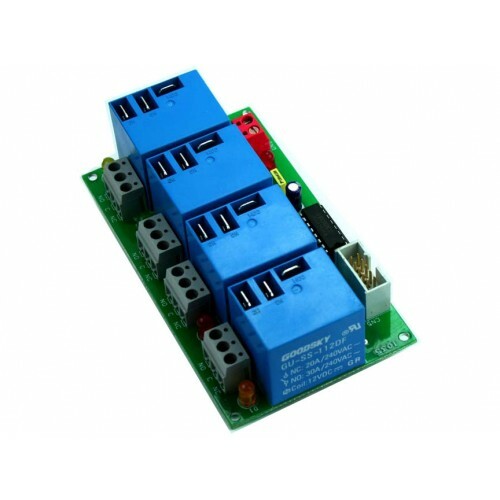 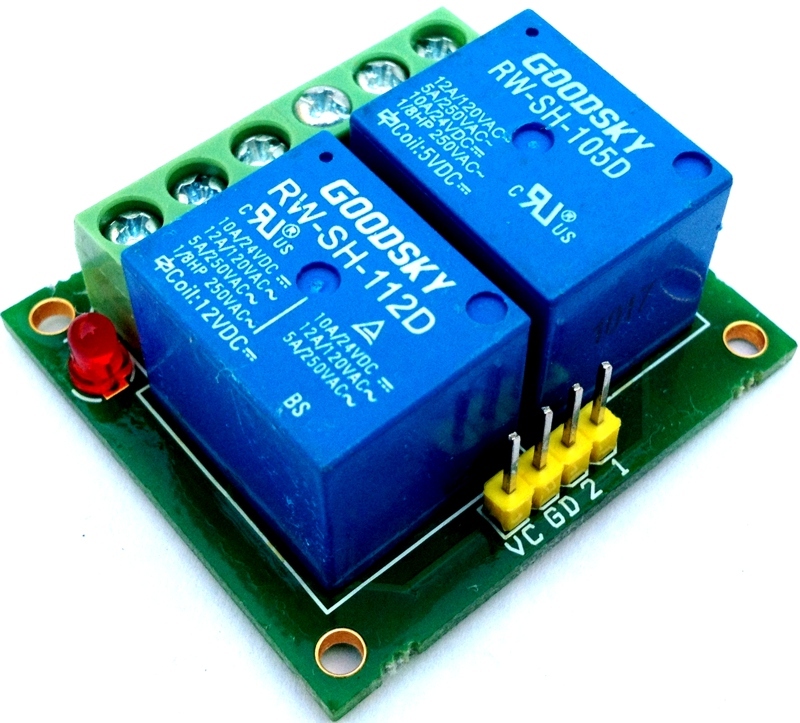 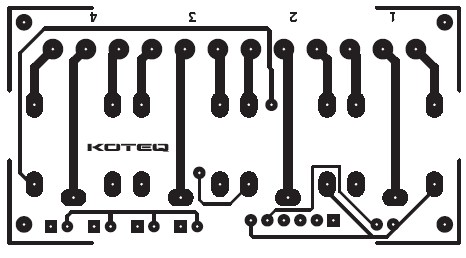 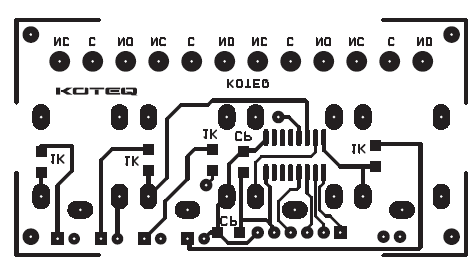 Very compact design that can fit in small area, mainly this board is made for low voltage applications. 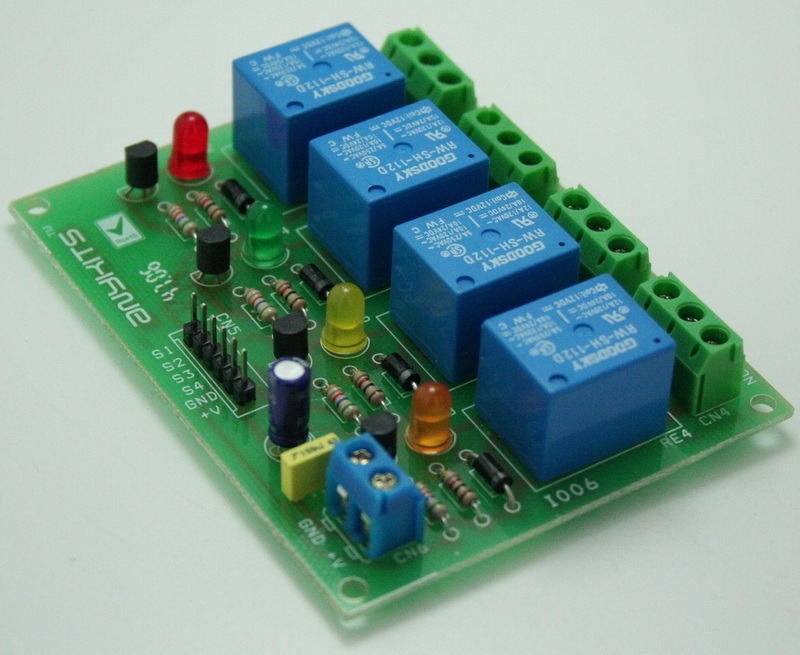 Applications: Robotics, Electronics projects, Industrial controls, Microwaves Oven, Fans, DC Motor, AC Lamp, Solenoids Remote Controls etc.